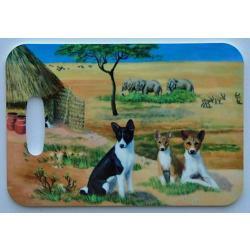 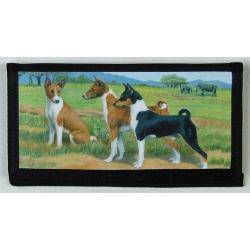 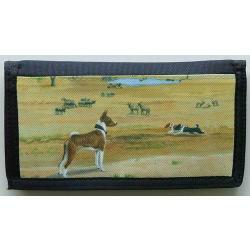 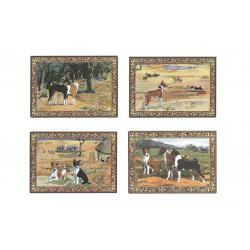 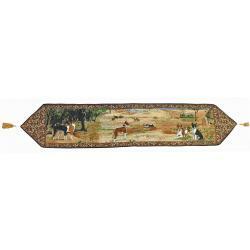 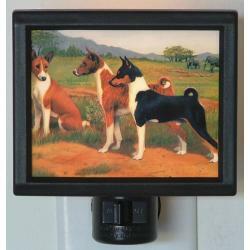 Our Basenji gifts are created from exclusive Basenji art by Gone Doggin, our unique dog gifts are high quality breed specific dog lover gifts perfect for the Basenji dog fancier. 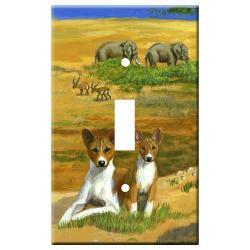 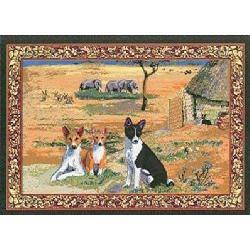 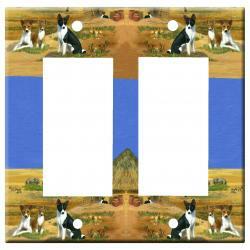 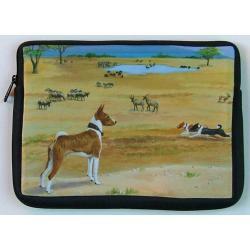 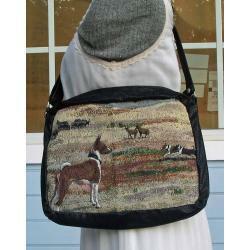 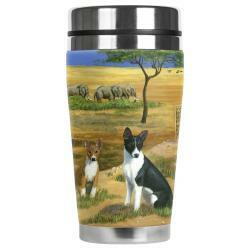 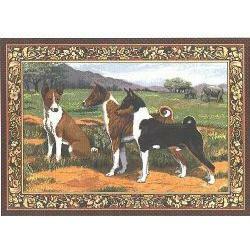 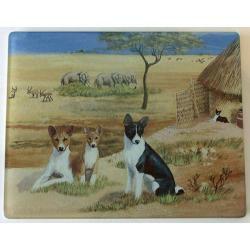 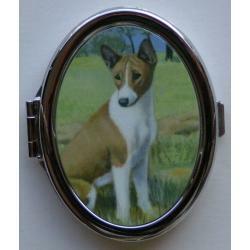 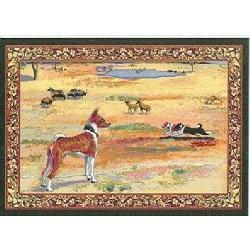 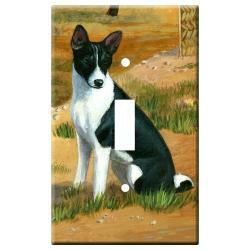 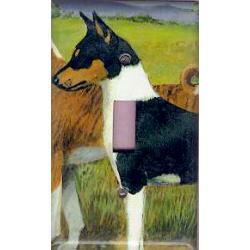 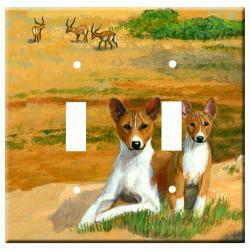 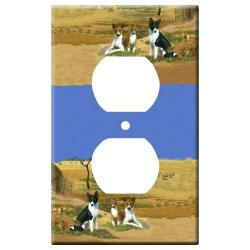 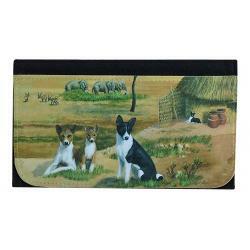 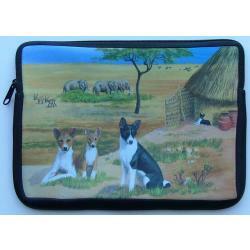 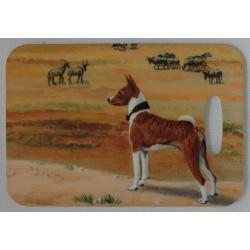 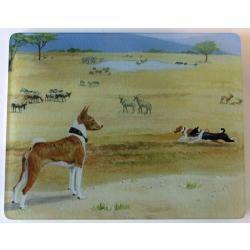 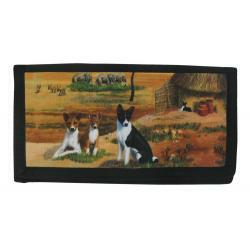 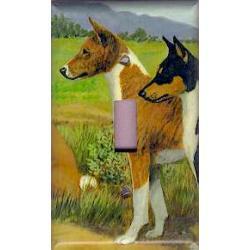 Basenji Information - The Basenji breed is an elegant hunting dog from Africa. 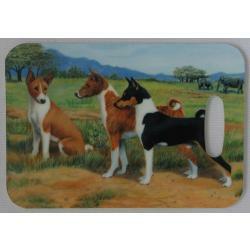 These dogs are also known as the barkless dog, when excited they makes a noise that sounds much like a yodel. 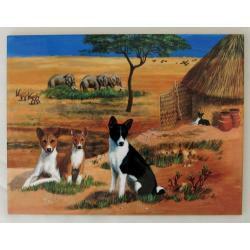 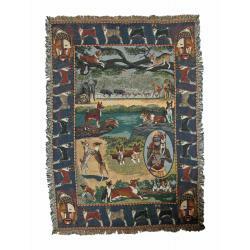 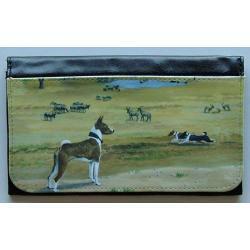 The Basenjis are prized hunters and were presented to the Pharaohs of ancient Egypt thousands of years ago. 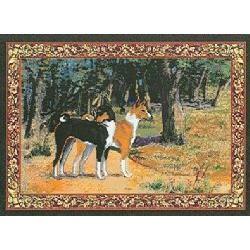 They were not introduced into Europe until the mid 20th century and were recognized under the hound group by the American Kennel Club in 1944. 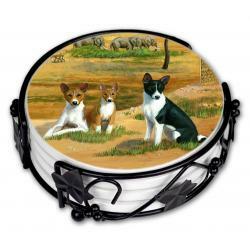 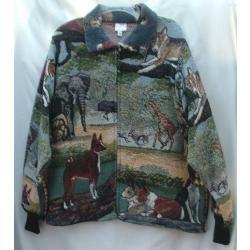 Unique Basenji gifts for dog lovers, by gonedoggin!